On August 8, 1796 Jean Zuber (1773-1852) married Elisabeth Spoerlin (1775-1856). The following year, he founded the French wall paper printing company, Zuber, which continues to produce luxury papers today. 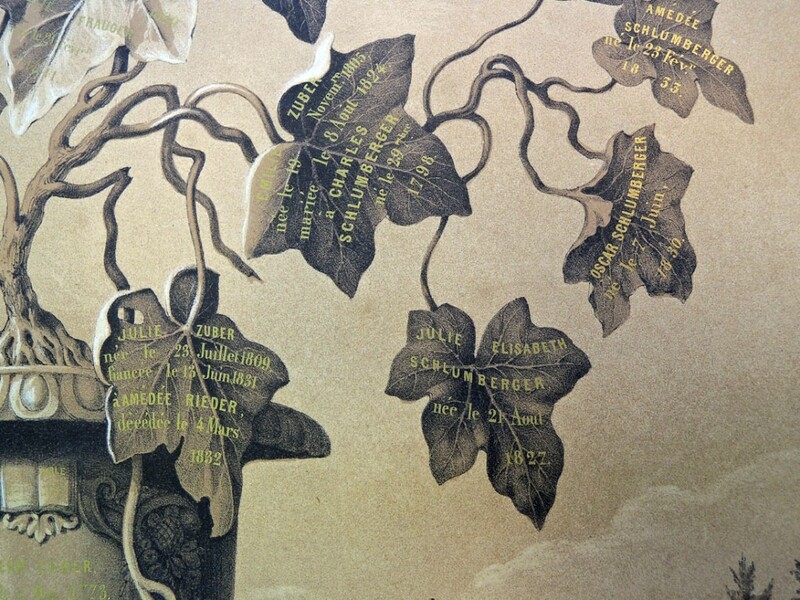 To celebrate their 50th anniversary, Zuber commissioned the great chromolithography firm, Engelmann and Graf, to produce a family tree outlining members of the Zuber and Spoerlin families. 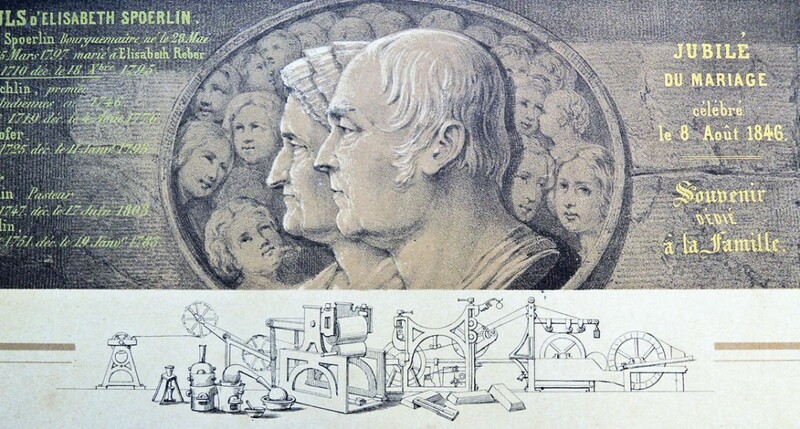 At the very bottom is a complex series of presses and machinery representing the production of long sheets of wall paper. 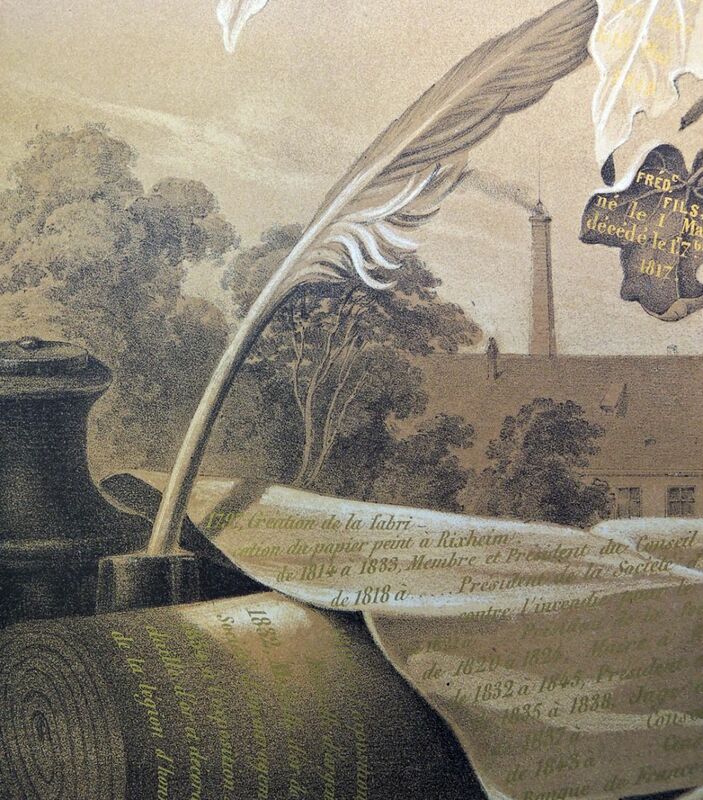 For an easier picture of the Zuber printing technology, see http://www.zuber.fr/html/video.html. This is a long video but well worth the time. 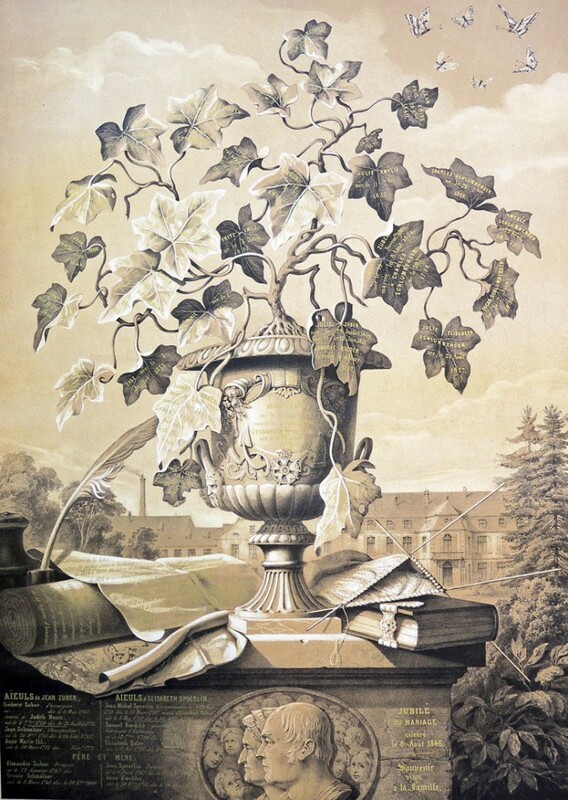 The family tree was found inside the Engelmann sample books in the Graphic Arts Collection. This entry was posted in prints and drawings on September 5, 2014 by Julie Mellby.